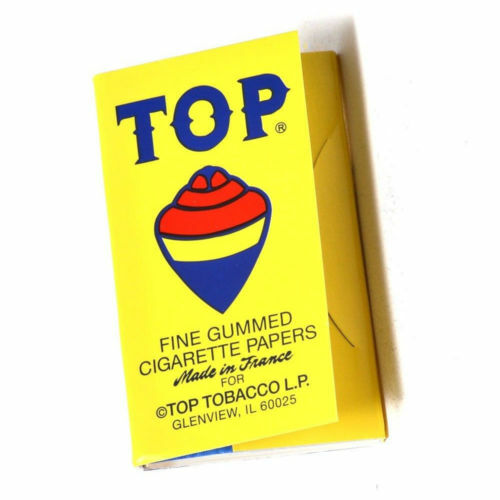 Top is a fine French gummed cigarette paper with 24 leaves in each book. 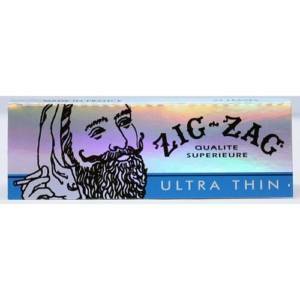 Top rolling papers are a smooth burning, quality cigarette rolling paper. This is a great buy on a fine product made in France. 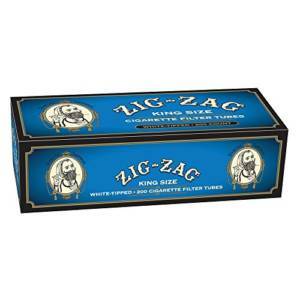 Top Rolling Papers come in single packs of 100 papers. 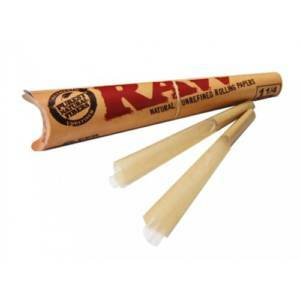 Cigarette paper is made from thin and lightweight “rag fibers” (nonwood plant fibers) such as flax, hemp, sisal, rice straw, and esparto. The paper is available in rolls and rectangular sheets of varying sizes and has a narrow strip of glue along one long edge. It may be transparent, colored and flavored. It has a high filler content and a basis weight of 10-28 g/m². 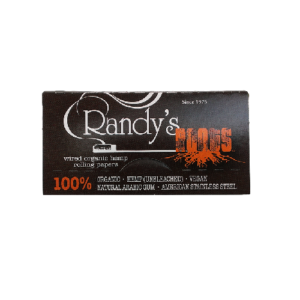 To control the smoking properties, this paper has a porosity that is suited to the type of tobacco and contains additives that regulate burning.] One critical paper characteristic is permeability; its primary physical influence is smoke dilution. Among the fillers used is calcium carbonate to influence the permeability and color, magnesium carbonate to improve ash color, or titanium oxide if particularly white ash is required. Sodium potassium tartrate(Seignette’s salt), sodium and potassium citrate are used as a combustion regulator in cigarette paper, increased levels result in faster-burning papers.Poly(vinyl alcohol) in aqueous solution is used for cigarette adhesives.